Mobile Ad Hoc network (MANET) is a collection of mobile devices which form a communication network. There are multiple type of routing protocols that de-signed for MANETs. 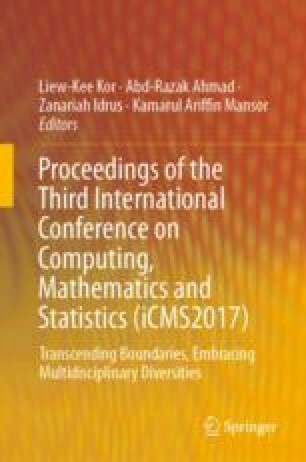 This paper presents an investigation of four MANET protocols’ performance, namely the Ad Hoc On-Demand Distance Vector (AODV), Destination-Sequenced Distance-Vector (DSDV), Dynamic Source Routing (DSR) and Ad Hoc On-Demand Multipath Distance (AOMDV). These protocols are evaluated using three difference performance metrics; average end-to-end, throughput and packet delivery ratio. Simulations of MANET is conducted to analyze the behavior of these protocols with different node mobility and node speed. From the results, it is indicated that different protocols performs better than the other on different performance metrics. For Average end-to-end metric, AODV is shown as the best performer even with the increment of speed. All four protocols meanwhile shows similar performance when node speed are increased for the throughput performance metric. For the final metric, it is shown that AOMDV returns the highest packet delivery ratio.